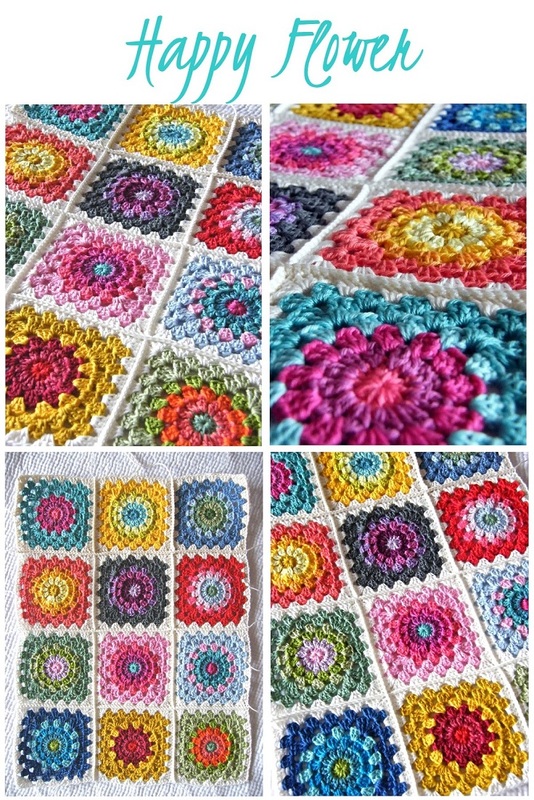 If you love crocheting then you must love granny squares! They are so versatile and flexible. Granny Square is actually a kind of patch-working in crochet where we can literally put any color combinations we like to make it a square and patch them together to form a project. They are traditionally handmade. Although there is no theoretical limit to the maximum size of a granny square, crocheters usually create multiple small squares, called “motifs”, and assemble the pieces to make clothing, purses, Afghan blankets, and other household textiles. The granny square first became extremely popular in the 1970s and remained crocheters’ favorite ever since. This is mostly due to the fact that granny squares are easy to be made and even beginners can successfully crochet them. If you are looking for free patterns for adorable granny squares then you are at the right place! We have collected our favorite and we are sharing them just for you. Enjoy! 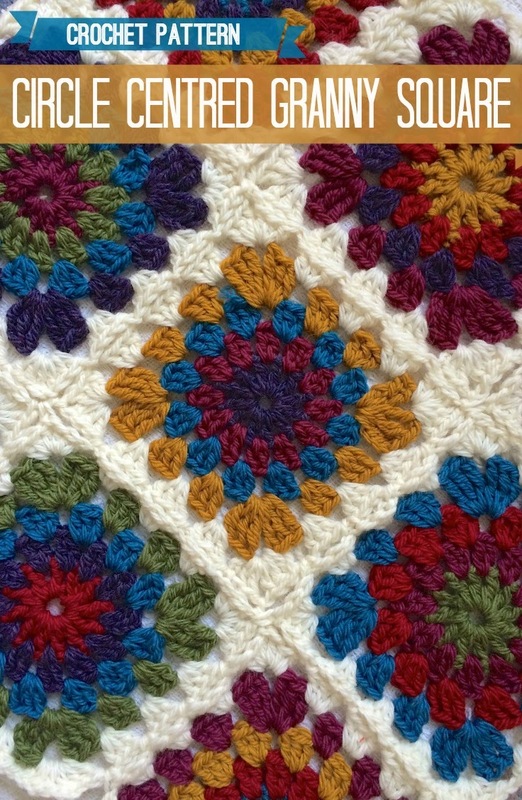 Here is an awesome free pattern for a granny square in bloom motif that you can download in PDF and print. The pattern includes step-by-step photos which makes it perfect for beginners. It is written in US terms, but there are links to the pattern translated in UK and Australian crocheting terms as well. 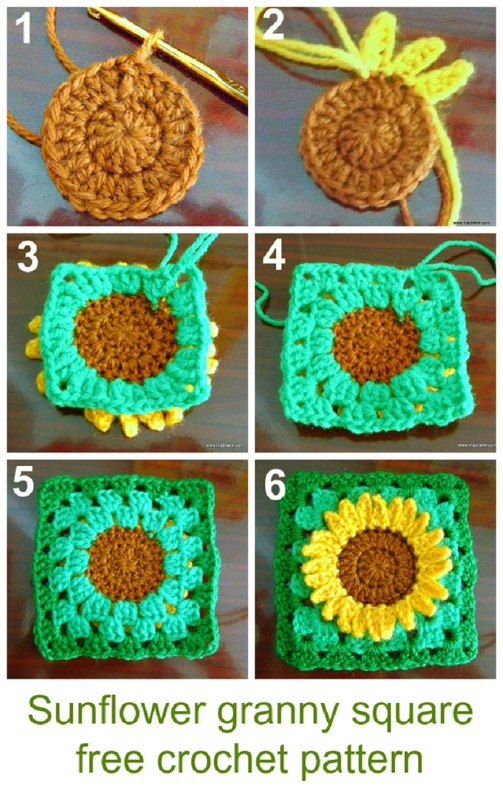 Sunflowers remind us of summer so this free crochet pattern for sunflower granny square is perfect for the upcoming season. The pattern is a little bit harder than a regular flower granny square pattern as it has more petals and slip stitches, but it is totally worth it! Just look at how cute it turns out. We love the colors. We simply love these beautiful 3D roses with leaves! 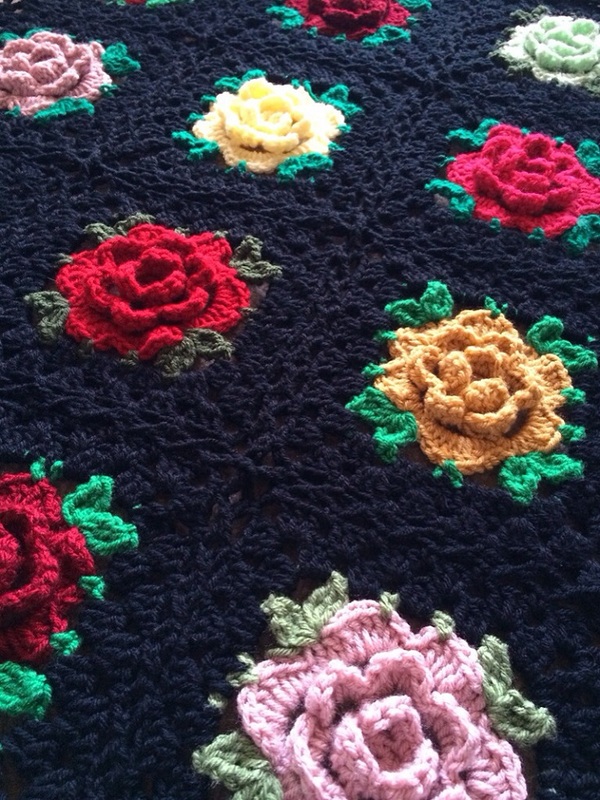 You can make a gorgeous Babouska Rose blanket with these granny squares. The pattern is very detailed and there are step-by-step photos that will really help you. Feel free to choose your favorite colors for the roses as well as the background. Here is a free pattern for a nice, simple square, that looks classically granny, but with a little bit of a twist on the traditional square. You will need 4 colours of yarn any weight, content and color you like, as well as a crochet cook of choice. The pattern is in UK terms. 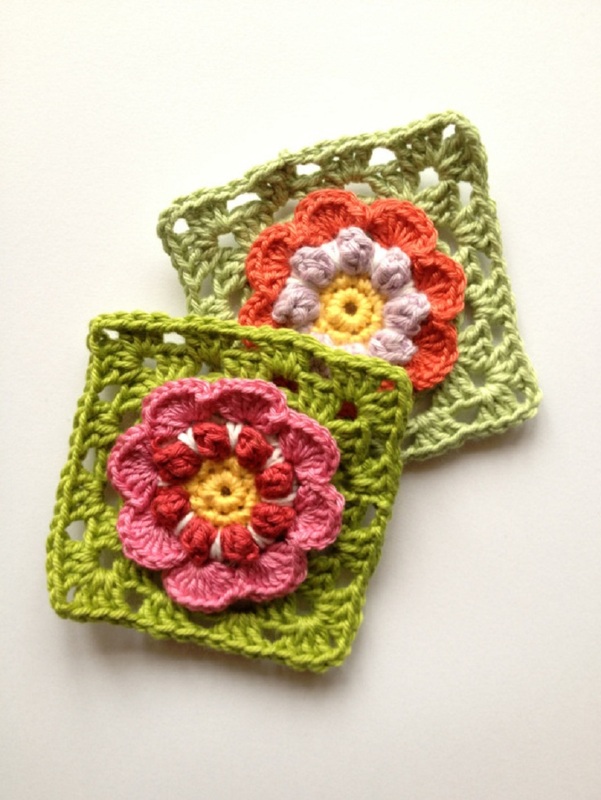 Catania Cotton and a 3.5mm hook were used for crocheting these beautiful flower blocks. You will find written instructions along with a pictorial guide on the link just bellow the photo. We love the pictorial guide which is so helpful and makes this pattern suitable for beginners as well as experienced crocheters. 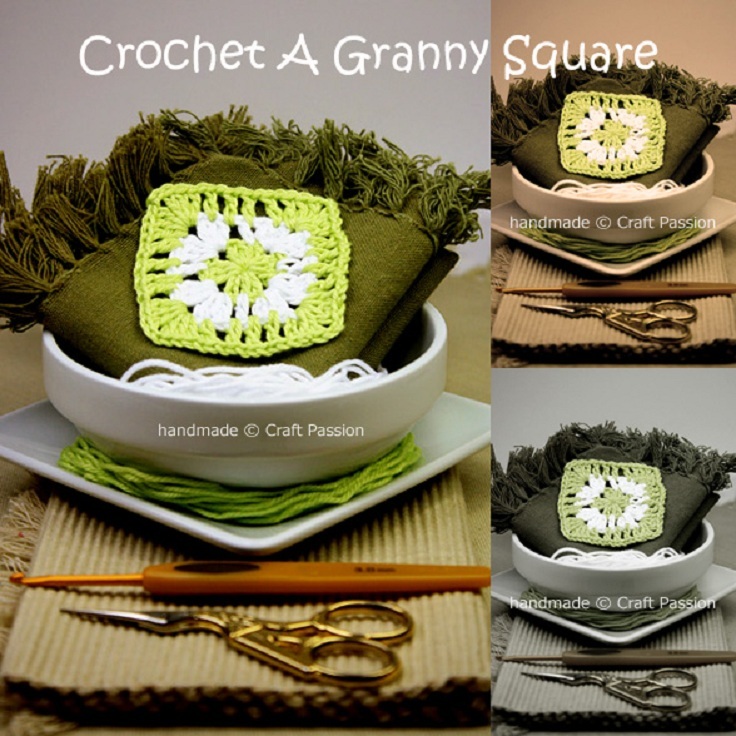 These cute little squares are not only adorable and versatile but are so easy to crochet. You will be making tons of them in no time. We love the idea for a baby cardi as well as the color choice. There is a written pattern along step-by-step photos that make these little squares easy to make. Just choose your color palette and start crocheting. How cute is this angel heart granny square? 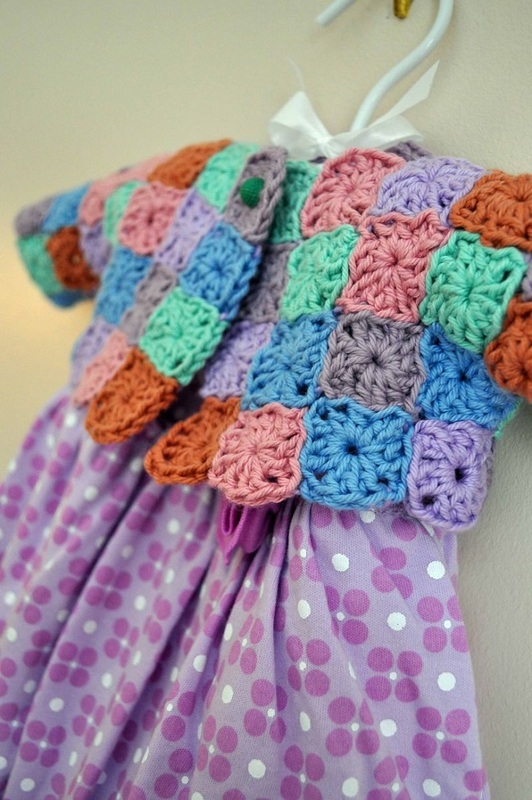 We love this free pattern – it is not only adorable, but also detailed and easy to follow. 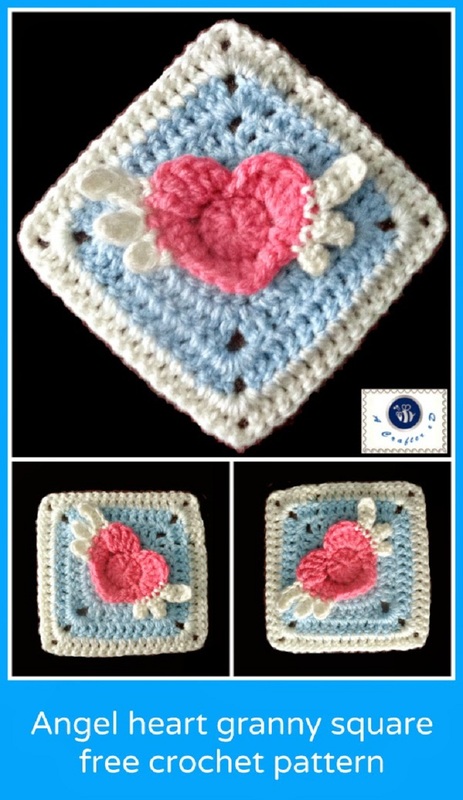 For making this angel heart granny square you will need: 4.5 mm crochet hook, worsted weight yarn in 3 colors, scissors and yarn needle. This granny square starts as a classic one, then comes the mitered part and finishes with a nice border. The tutorial is pretty detailed and pictorial so you won’t have a problem to follow it. Feel free to choose colors you like. 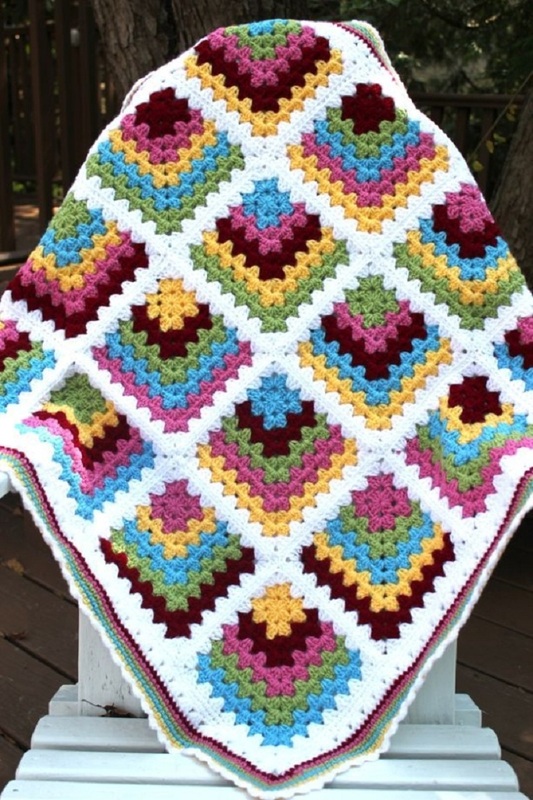 It is a grate granny square for making a nice blanket like the one on the photo. and a crochet hook 7 (4.5 mm). This pattern will show you how to crochet another variation of the classic granny square, where a double crochet [dc] is crocheted in between to reduce the gap in between each dc cluster. This tutorial also shows how to change color in a neater way when going from round to round. It is detailed and there are step-by-step photos to guide you through it. granny squares look too hard to do.